I have to admit, I am not one to make a big fuss over the little “graduations.” Graduating from high school and college are huge accomplishments that signify a new phase in life. Often, I feel that preschool, kindergarten, sixth grade, (etc) graduations take away from the importance that is Graduation. I watched in amused disbelief last week as two limos pulled into the parent pick up line on the last day of school to take groups of sixth graders and their moms out on the town. 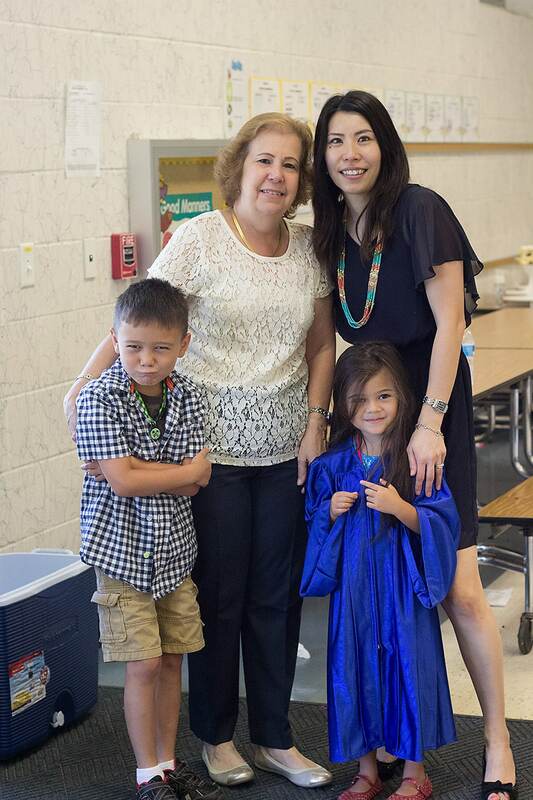 This past weekend my youngest “graduated” from pre-kindergarten. It’s tough being the second kid. I was a proud mom at my son’s graduation last year. 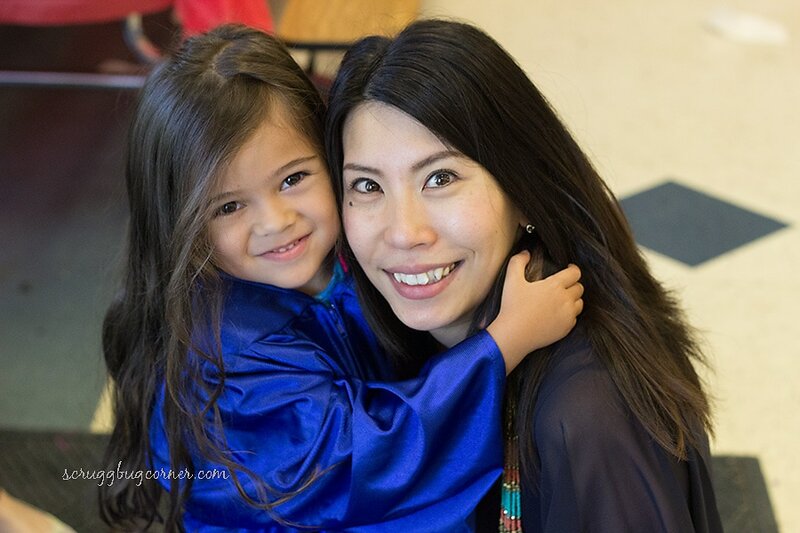 I had no idea what a preschool graduation would be like and I was delighted as my son and his class sang. However, it wasn’t an ending for us. I was still a working mom this time last year. My daughter would still be attending the school the following August. Two days after “graduation” I dropped both kids off at the same daycare where Pre-k is taught, at the same time that I always did, and I picked them up that evening like always. There really was no change to our routine until Pork Chop started Kindergarten at a different school. And then my day became crazy with dropping two kids off at two different schools, equal distant from our house, in different directions. It literally sucked the life from me all year. I knew my daughter’s class had been busily rehearsing. I knew what they were singing. She sang the songs at home each day. As she jibber jabbered about how excited she was about graduating. I saw the graduation as just another chance to socialize with the teachers that have been in my life for the past six plus years and chit chat with other parents. Then, the day before the event Pea broke down in hysterics. She “refused” to graduate. She screamed. She railed. She wailed. She announced that her best friend cried at practice so she isn’t the only scared one. Only a mean mommy would make her go on stage. She was going to stay with Miss Jenn (her teacher) forever. 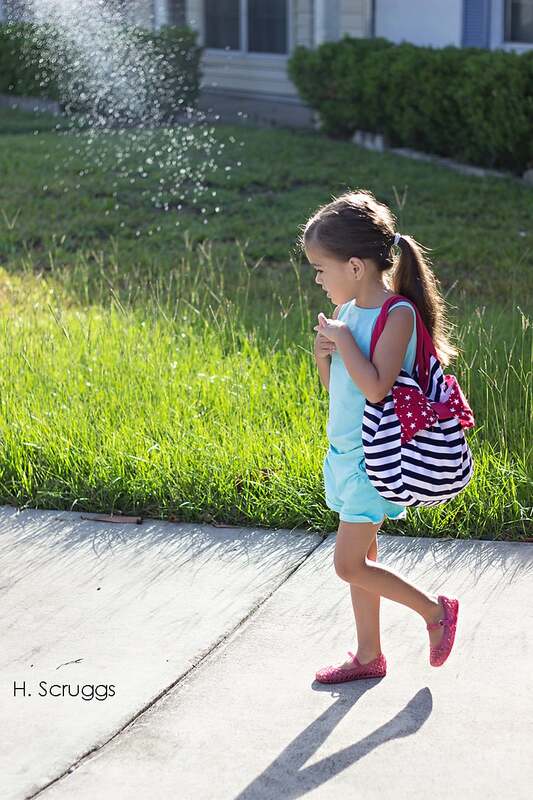 She thought she would be going to a new school the very next school day. After all, both of them went back to “school” the Monday after Pork Chop’s “graduation.” She hates change. She hates knowing that she won’t be seeing her friends every day. She finally cried herself to sleep…only to wake up with new dramatics. Part of me was confused. Dancing and singing are her passions. She hates to be in front of a crowd but she absolutely LOVES singing and dancing. I’m treated to performances daily and when I am too busy to play audience, she has the huge hallway mirror stand in. She is a born performer. Skipping out wasn’t an option. I expected her to sit on the stage crying, though. I feel that it’s important to follow through for the rest of the team. I explained that all of the other kids will be just as scared being on a stage with all of the parents, grandparents, and family members watching. Grandpa played her favorite country (yes-country) songs and she comforted herself by singing on the way there. Once there, the excitement of the day swept her up and she giggled and played with her friends before whispering to me that she was still scared. Just imagine you are singing for Mommy. Pretend nobody else is there and put on another show for me. Once inside, sure enough, her best friend began to sob. And that changed everything for Pea. She’s scared but not willing to show it when others are looking. I absolutely detest breaking down in public. As my cousin told me during the funeral of one of my uncles, “we don’t cry in public” and we don’t. That’s her bff crying there beside her. She stared at me the entire program. She sang and danced. When she got bored, my preschool graduate made faces at me. She took my advice to put on a show just for me, literally. And in the middle of the graduation, I realized that it was a big deal. (Though I am not convinced that a sixth grade graduation is necessary!) Their teachers had tears streaming down their faces. Piper’s pre-kindergarten teachers were the same two women that worked in the baby and one year old rooms when my children babies. They had held them. They had fed them. They had potty trained them. They had been there for them when I was at work. We weren’t going to be back on Monday. 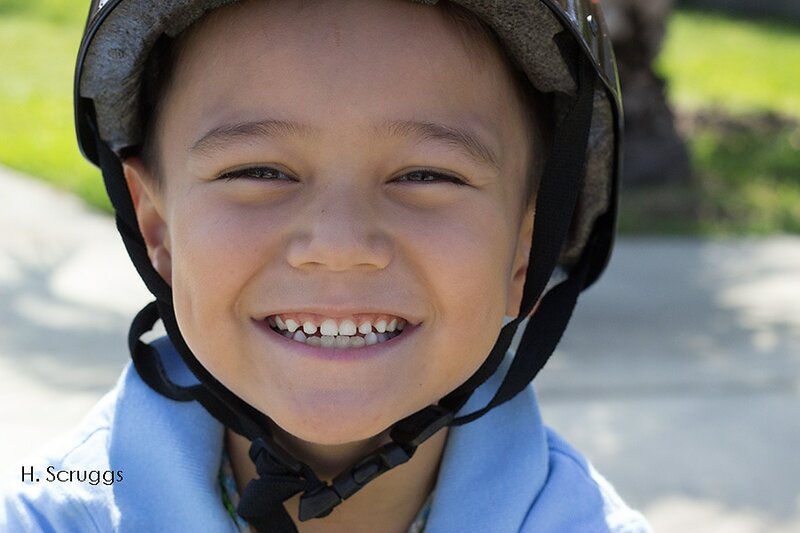 I will still bring the kids to the daycare on the infrequent days that I have appointments that they cannot accompany me to but it won’t be every day or even every week. 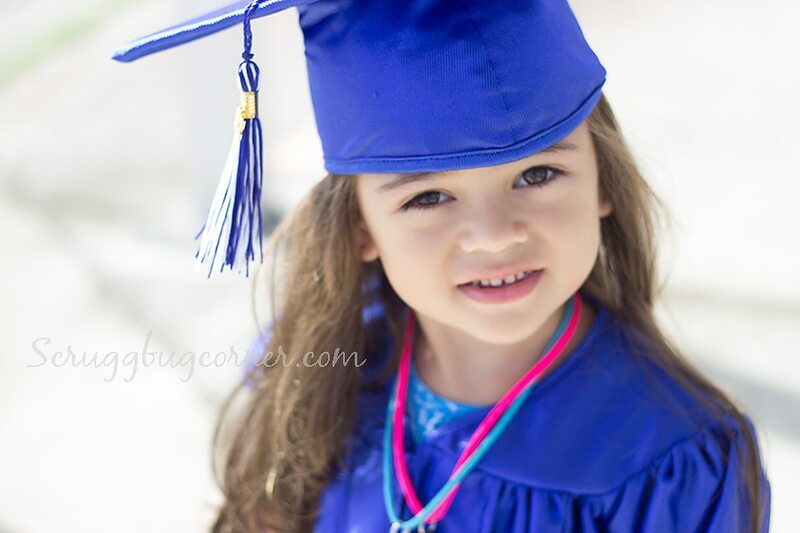 I think of the of her entering Kindergarten next year with a little apprehension. On one hand, Pork Chop has been through it so I will know what to expect. On the other hand, there is comfort in knowing that the teachers in her old school knew her allergies as well as I do. They could tell when she was trying to hide the magnitude of her JA knee pain on bad days. They could also tell when her the howls, tears, and exaggerated limping were aimed at getting the teacher to call me. They would hold her when she needed it. I won’t miss having to pass my house several times a day driving from one drop off/pick up to another. 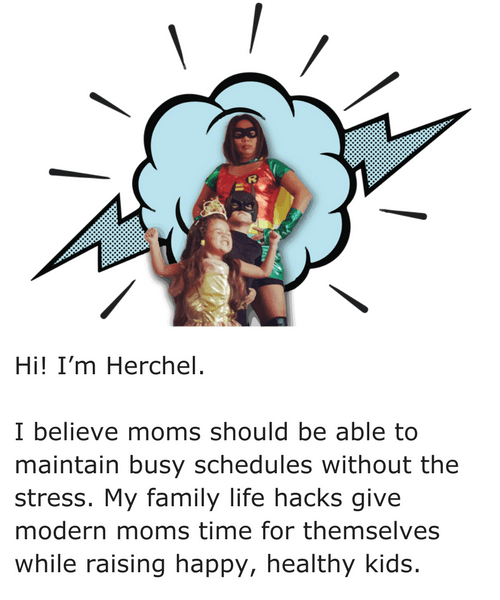 It will be nice having more than 2 hours without kids to do chores and work. There are many, many silver linings in this cloud. But neither of my babies are babies anymore–and that makes me sad. I love this. It’s so hard to move on and grow up sometimes. She is absolutely GORGEOUS by the way! Echo recently posted…Wall Art Made Easy With WallMonkeys! Knowing my babies aren’t babies anymore definitely made me sad. 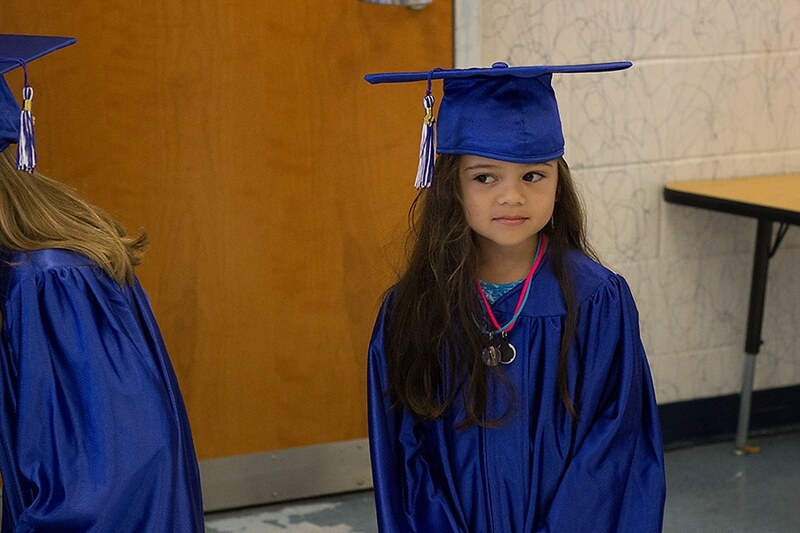 We did the preschool graduation this past week, too, and that was the hardest thing about it. That’s because it’s her teacher in the photos! I should have had pictures of myself taken with her lol. I didn’t even think about it (DOH!) I don’t think I had any taken of myself with my son during his graduation either so no second child jealousy over that oversight. Iva, I wish they couldn’t verbalize as much as they can already 🙂 It’s going to be an interesting summer. I’m not going to lie to you… for me personally it was tough realizing all my babies weren’t babies. Last summer I held on to each day dragging my nails into the day to just slow it down, hesitating crossing out a day on the calendar, but it happened. Summer zoomed by and there I was dropping off *all* three of my kiddos. My husband took 2 days off to be with me because I’m a crybaby 🙂 It’s tough but you do get use to it. I love all my breaks winter breaks, spring break, random teacher days, and SUMMER! My advice, make the most of your summer with those cuties. Heck, make the most of each day with those sweet babies. This school year went even faster than the summer; time really does fly.